"The Tome Show" is a Dungeons & Dragons news, reviews and advice podcast. Podcasts have become the ancient Alexandrian library for geeks. Much like in the time of the Egyptian library, you can learn that a new thing exists - game, book, whatever - and find a podcast about it. In just a short time, you can become an expert on that subject, without all those pesky scrolls or weighty books to carry around. "The Tome Show," is the kind of podcast that plunges fans of Dungeons and Dragons - the grandfather of tabletop role playing games, currently produced by Wizards of the Coast(WotC) - straight into a master-level dissertation. Topics of conversation include news and reviews of the latest D&D products as well as interviews with people from the role-playing game industry and gamers. Advice to players and Dungeon Masters is a signature part of "The Tome Show." The hosts call it “a podcast by D&D fans, for D&D fans,” and it's one of the longest-running Dungeons & Dragons podcasts out there. Jeff Greiner was the lone host of the show when it launched in October 2006. Sometimes-guest Tracy Hurley, a regular on D&D-related podcast, "4geeks4e" and the "DM Round Table", became a full time co-host in January, 2011. Rumor has it Greiner is paying her in Skittles. Greiner picked up podcasting as a teacher in Omaha, Nebraska. The school where he worked had a strong working relationship with Apple and he was encouraged to learn and play with the company's podcasting technology. 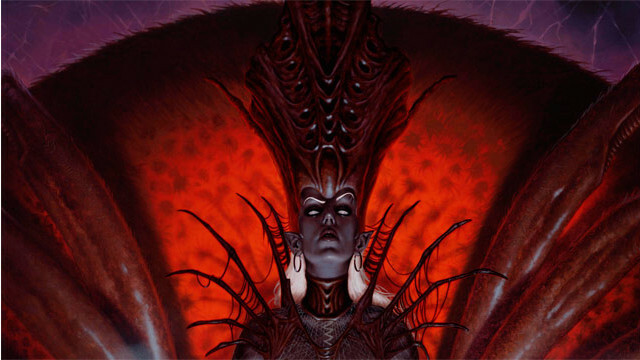 Lolth of the Underdark (this evil half-lady, half-spider god) is the big baddy in D&D Online's Forgotten Realms expansion. Wizards of the Coast announced the April release of limited-edition reprints of the original core rulebooks for the "Monster Manual," "Player's Handbook," and "Dungeon Master's Guide." These premium versions of original D&D rulebooks feature new cover designs. Available in limited quantities as a hobby channel exclusive in North America, proceeds from the books will help support the Gygax Memorial Fund—established to immortalize the “Father of Roleplaying Games” with a memorial statue in Lake Geneva, Wisconsin. The company behind the role-playing game’s new version will be reaching out to its player base for suggestions. Soon, diehard players of the iconic “Dungeons and Dragons” role-playing game will be getting a new way to slash orcs and slay dragons. Mike Mearls, lead designer for D&D at parent company Wizards of the Coast, announced Monday that it is developing a new version of Dungeons and Dragons. While the details are still to be developed, Mearls said the latest iteration will aim to incorporate the best of its predecessors, along with the varying play styles and different approaches of the players who have loved them. As such, Mearls said the company will be reaching out to its player base for suggestions. I like to consider myself an avid tabletop role-playing game player. I started playing Dungeons & Dragons with the original 1983 “Red Box." I played through college and now run a regular D&D game at my local gaming store. I knew about Paizo from the other table top products they sell, like maps and source books. 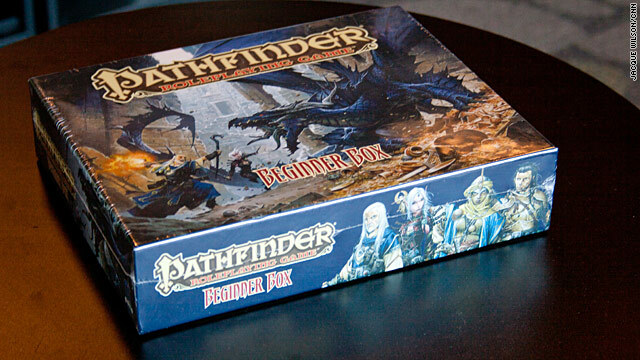 I’d seen their RPG “Pathfinders” on the shelf at my local gaming store, but didn't know a lot of the about the game or its history. Paizo Publisher Erik Mona was happy to fill in the blanks. 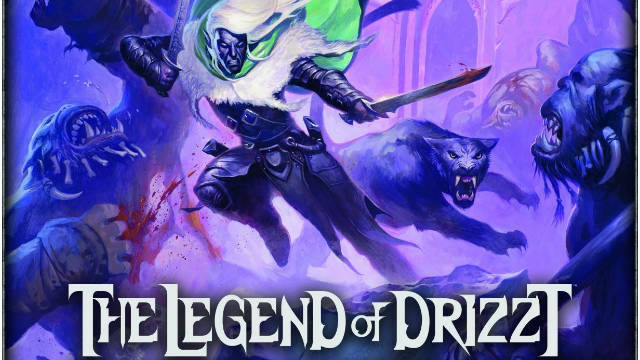 Wizards of the Coast released their third Dungeons & Dragons cooperative-play board game Tuesday, called “The Legend of Drizzt”. The game is based around one of D&D’s most well-know characters, Drizzt Do’Urden, a non-archetypal dark elf (a drow ranger in D&D) who has turned his back on the ways of his people. He's also the main character in the "Forgotten Realms" novels by R.A. Salvatore.